POPULAR RIVER NORTH COMMONS BUILDING. STYLISH BRICK AND TIMBER ONE BEDROOM LOFT HAS HARDWOOD FLOORS THROUGH OUT, A KITCHEN DESIGNED WITH STAINLESS STEEL APPLIANCES AND MAPLE CABINETS, CUSTOM BUILT MASTER BED CLOSET, A FIREPLACE, IN-UNIT WASHER AND DRYER AND AN OUTDOOR BALCONY + STORAGE LOCKER 404, PRK SPACE#6 @ 25K. 520 W Huron Street #404 Chicago, Illinois 60654 is a loft property, which sold for $274,000. 520 W Huron Street #404 has 1 bedroom(s) and 1 bath(s). 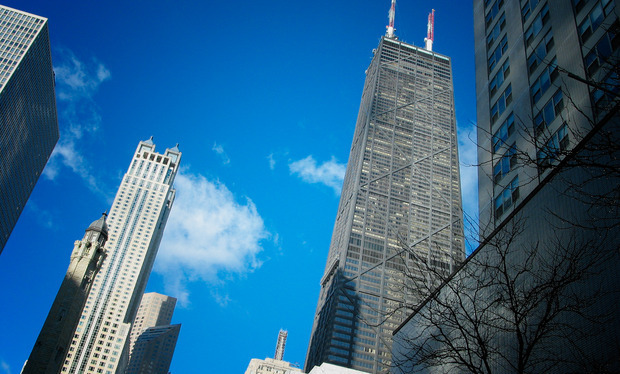 Want to learn more about 520 W Huron Street #404 Chicago, Illinois 60654? Contact an @properties agent to request more info.